Thank you for your interest in becoming a volunteer at MarineParents.com, Inc.® The organization is growing daily, and our need for additional volunteers is growing as well.Volunteering at Marine Parents is a rewarding experience and opens many doors to new friendships and levels of support, and provides you an opportunity to lend support to other Marine Corps families, in addition to our Marines and Sailors. 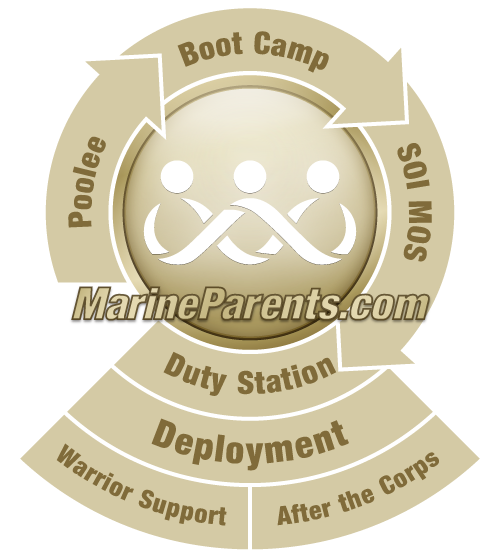 Volunteers at Marine Parents are not compensated, either monetarily or with benefits. Volunteer positions at Marine Parents cover a wide range of capabilities, number of hours required, and levels of responsibility. The organization currently has more than 230 volunteers working to support our Marines and their family members in a variety of ways. Volunteers are expected to make a daily time commitment and must sign a confidentiality agreement and contract for a set period of time. Volunteers are encouraged to attend monthly volunteer meetings via internet telephone conference meetings. Volunteer positions require training, including the reading of informational resources and a telephone interview(s). Volunteer leadership positions require attendance of monthly leadership telephone conference meetings. Volunteers are provided with online tools, online instruction, and an online office environment via Google Docs for communicating and working with other volunteers, directors, and paid staff. Volunteers are required to have access to a computer and an internet connection. We look forward to the possibility of working with you as a volunteer!